It’s important to look at the manufacture’s schedule of service that usually happens at your 10,000 mile markers. You can’t afford to overlook these important services if you want to prolong the life of your vehicle. 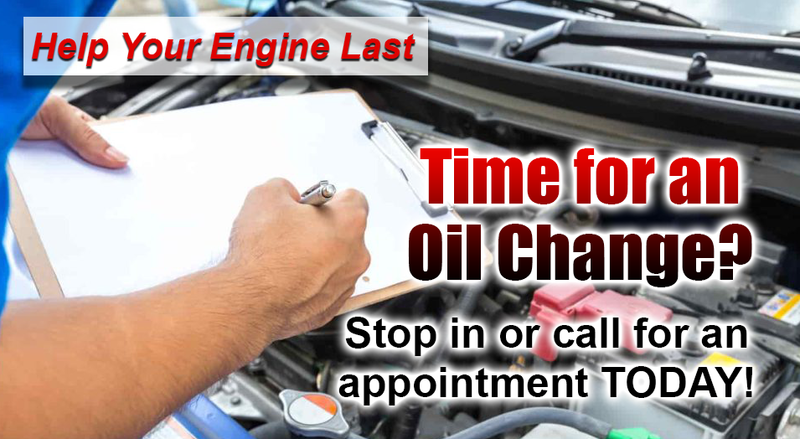 With your routine 3,000 mile oil change service we will keep track and remind you of those recommended manufacture services as well as any other issue or concern we might see. It is important to have your tires rotated every 6,000 miles so that they can be inspected for air pressure, tread depth, bulges and blisters, and punctures. Rotating will also keep the tread wearing evenly and that will prolong the life of your tires. We even offer free tire plugs and patches on tires that you purchased New from us.